iHaveNet.com RSS Feeds, also known as feeds, XML feeds, or syndicated content, are frequently updated content modules published by iHaveNet.com. The iHaveNet.com RSS feeds offer a different method of accessing content published on our website. 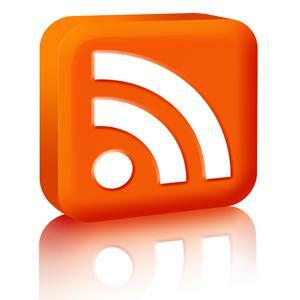 RSS feeds are usually used for news and blog websites (like iHaveNet.com), but can also be used for distributing other types of digital content, including pictures, audio or video. iHaveNet.com currently offers 4 RSS Feed Content Modules. Over time we plan to add more RSS Content Feeds. In addition, on this web page is the capability to receive links and descriptions to current iHaveNet.com content via email subscription. Both the RSS Feeds & the email subscription modules are served / supplied via feedburner.com functionality. The acronym "RSS" stands for "Really Simple Syndication" or "Rich Site Summary". An RSS feed or news feed is an online file, not in hypertext like this page but formatted in XML for a range of devices. What is a news feed reader? News feed reader or news aggregator software combines in one place current links from many news sources. Why use a news feed reader? Feed readers allow you to quickly follow the topics you choose. Many feed readers are integrated into e-mail programs or Web browsers, or will pop up a new window when a new article is available. Where can I get an RSS feed reader? Many Web browsers can display RSS feeds. Free or inexpensive readers are available, and Web sites such as Google and Yahoo! offer RSS features. Syndication on the Web means that a section of a Web site is made available for other sites to use. The RSS feeds on this page are an example of syndication of iHaveNet.com . Readers "subscribe" to the feed simply by pasting the link into a news reader. iHaveNet.com permits the use of iHavenet.com RSS feeds on other websites. However, the proper usage, format and attribution is used when iHaveNet.com RSS content appears on your website. The attribution text should contain "iHaveNet.com". iHaveNet.com reserves the right to prevent the distribution of iHaveNet.com RSS feeds and the iHaveNet.com does not accept any liability for its RSS feeds. By downloading iHaveNet.com RSS Feeds for Personal and/or Website purposes you agree to be bound by the terms set forth below. These terms may change over time. Please review the terms. iHaveNet.com grants a non-transferrable, non-licensable, non-sublicensable, royalty free non-exclusive license to display on your website the content embedded within the iHaveNet.com RSS feed selected. Title, ownership rights and intellectual property rights related to the RSS Feeds are the property of iHaveNet.com. YOU MAY NOT DIRECTLY OR INDIRECTLY CHARGE USERS SPECIFICALLY FOR ACCESSING iHaveNet.com CONTENT OR OTHERWISE COMMERCIALISE SUCH CONTENT, NOR ATTEMPT TO RE-SELL THE CONTENT IN ANY WAY. Where possible you must create a functional link back to the iHaveNet.com articles summarized by the RSS Content . If you are displaying the RSS Feed where a functional link back to iHaveNet.com is not possible, you must display on-screen the URL from which the iHaveNet.com Content can be obtained. You may not directly or indirectly change, edit, add to or produce summaries of iHaveNet.com Content or any content on the iHaveNet.com website nor place any full-story iHaveNet.com content in an HTML frame-set. You have the right to use the content supplied in the RSS feed without alteration and with the proper links and attribution. You may not directly or indirectly suggest any endorsement or approval by iHaveNet.com of your Site or any entity, product or content or any views expressed within your site or service. You acknowledge that iHaveNet.com has absolute editorial control over all Content and you accept that iHaveNet.com is editorially independent and that the editorial integrity of iHaveNet.com Content is the sole responsibility of iHaveNet.com . (iii) users of the Site shall be required to comply with terms that are equivalent to the Standard Licence Terms in relation to their use of iHavenet.com Content. iHaveNet.com RSS Feeds are made available by iHaveNet.com on an "as is" and "as available" basis and iHaveNet.com gives no warranty of any kind in relation to iHaveNet.com Feed, iHaveNet.com Content, or any content on iHaveNet.com website. iHaveNet.com disclaims all implied warranties, including but not limited to the implied warranties of satisfactory quality, fitness for a particular purpose, non-infringement, compatibility, and accuracy regarding iHaveNet.com Content, iHaveNet.com Feed and iHaveNet.com website and any content thereon. TO THE MAXIMUM EXTENT PERMITTED BY LAW iHaveNet.com EXCLUDES ALL LIABILITY TO YOU FOR ANY LOSS OR DAMAGE WHATSOEVER & HOWSOEVER ARISING OUT OF OR IN CONNECTION WITH THIS AGREEMENT, INCLUDING BUT NOT LIMITED TO ANY LIABILITY ARISING IN RELATION TO iHaveNet.com FEED, iHaveNet.com CONTENT OR ANY CONTENT ON iHaveNet.com WEBSITE, ANY VIRUS OR OTHER CONTAMINATION OR ANY UNAVAILABILITY OF iHaveNet.com CONTENT. USE OF iHaveNet.com IS AT YOUR OWN RISK. ALL CONTENT IS PROVIDED "AS IS" AND "AS AVAILABLE." NEITHER iHaveNet.com NOR ANY OF ITS AFFILIATED OR RELATED COMPANIES, NOR ANY OF THE EMPLOYEES, AGENTS, CONTENT PROVIDERS OR LICENSORS OF ANY OF THEM, MAKES ANY REPRESENTATION OR WARRANTY OF ANY KIND REGARDING iHaveNet.com, THE CONTENT, ANY ADVERTISING MATERIAL, INFORMATION, PRODUCTS OR SERVICES AVAILABLE ON OR THROUGH iHaveNet.com, AND/OR THE RESULTS THAT MAY BE OBTAINED FROM USE OF iHaveNet.com OR SUCH CONTENT OR SERVICES. ALL EXPRESS OR IMPLIED WARRANTIES, INCLUDING WITHOUT LIMITATION WARRANTIES OF MERCHANTABILITY AND FITNESS FOR A PARTICULAR PURPOSE, WARRANTIES AGAINST INFRINGEMENT, AND WARRANTIES iHaveNet.com WILL MEET YOUR REQUIREMENTS, BE UNINTERRUPTED, TIMELY, SECURE OR ERROR FREE, ARE SPECIFICALLY DISCLAIMED. iHaveNet.com AND ITS AFFILIATES ARE NOT RESPONSIBLE OR LIABLE FOR CONTENT POSTED BY THIRD PARTIES, ACTIONS OF ANY THIRD PARTY, OR FOR ANY DAMAGE TO, OR VIRUS THAT MAY INFECT, YOUR COMPUTER EQUIPMENT OR OTHER PROPERTY. iHaveNet.com CONTAINS FACTS, VIEWS, OPINIONS, STATEMENTS AND RECOMMENDATIONS OF THIRD PARTY INDIVIDUALS AND ORGANIZATIONS. iHaveNet.com DOES NOT REPRESENT OR ENDORSE THE ACCURACY, CURRENTNESS OR RELIABILITY OF ANY ADVICE, OPINION, STATEMENT OR OTHER INFORMATION DISPLAYED, UPLOADED OR DISTRIBUTED THROUGH THE iHaveNet.com. ANY RELIANCE UPON ANY SUCH OPINION, ADVICE, STATEMENT OR INFORMATION IS AT YOUR SOLE RISK. IN NO EVENT SHALL iHaveNet.com OR ITS AFFILIATES, EMPLOYEES, AGENTS, CONTENT PROVIDERS OR LICENSORS BE LIABLE FOR ANY INDIRECT, CONSEQUENTIAL, SPECIAL, INCIDENTAL OR PUNITIVE DAMAGES INCLUDING, WITHOUT LIMITATION, DAMAGES RELATED TO UNAUTHORIZED ACCESS TO OR ALTERATION OF YOUR TRANSMISSIONS OR DATA, THE CONTENT OR ANY ERRORS OR OMISSIONS IN THE CONTENT, EVEN IF ADVISED OF THE POSSIBILITY OF SUCH DAMAGES. IN NO EVENT SHALL iHaveNet.com OR ITS AFFILIATES, EMPLOYEES, AGENTS, CONTENT PROVIDERS OR LICENSORS BE LIABLE FOR ANY AMOUNT FOR DIRECT DAMAGES. Indemnity. You agree to indemnify, defend and hold harmless iHaveNet.com , each of their parent and affiliated companies, and each of their respective partners, suppliers, licensors, officers, directors, shareholders, employees, representatives, contractors and agents, and sub-licensees from any and all claims (including but not limited to claims for defamation, trade disparagement, privacy and intellectual property infringement) and damages (including attorneys' fees and court costs) arising from or relating to any allegation regarding: (1) your use of iHaveNet.com ; (2) iHaveNet.com 's use of any User Content or information you provide, as long as such use is not inconsistent with this Agreement; (3) information or material provided through your Registration Account, even if not posted by you; and (4) any violation of this Agreement by you. International Users. iHaveNet.com is controlled, operated and administered by iHaveNet.com from its offices within the United States. iHaveNet.com makes no representation that materials or Content available through iHaveNet.com are appropriate or available for use outside the United States and access to them from territories where their contents are illegal is prohibited. You may not use iHaveNet.com or export the Content in violation of U.S. export laws and regulations. If you access iHaveNet.com from a location outside the United States, you are responsible for compliance with all applicable laws. Modifying these Terms. iHaveNet.com reserves the right to change these Terms of Service at any time in its discretion and to notify users of any such changes solely by changing these Terms of Service. Your continued use of iHaveNet.com after the posting of any amended Terms of Service shall constitute your agreement to be bound by any such changes. Your use of this site prior to the time these Terms of Service were posted will be governed according to the Terms of Service that applied at the time of your use. Discontinuation of Service. iHaveNet.com may modify, suspend, discontinue or restrict the use of any portion of iHaveNet.com , including the availability of any portion of the Content at any time, without notice or liability. iHaveNet.com may deny access to any Registered Member or other user at any time for any reason. In addition, iHaveNet.com may at any time transfer rights and obligations under this Agreement to any affiliate, subsidiary or business unit, or any of their affiliated companies or divisions, or any entity that acquires iHaveNet.com or any of its assets. Arianna Huffington is a passionate partisan who doesn't mince words and takes no prisoners in her fight for social justice. Her straightforward, unabashedly liberal commentary speaks the language of average Americans. She freely attacks the conventional wisdom of both Democrats and Republicans and, in the process, gives voice to readers frustrated by politics-as-usual. The world-renowned chef with an extraordinary passion for food now shares that passion in Wolfgang Puck's Kitchen. Wolfgang Puck makes great cooking easier than you ever imagined. Each feature includes both an expert tip and an easy recipe - exactly what you need to transform your home cooking from acceptable to delectable. Online NFL Football Breaking News, Headlines, Commentary and NFL Football Articles Site. Find out what is happening in the NFL. Visit iHaveNet.com for the latest NFL news and articles.